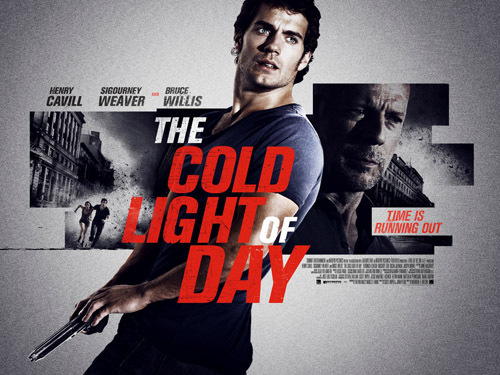 A couple of weeks ago I posted the action-packed trailer for thriller THE COLD LIGHT OF DAY and now I am pleased to share with you the official quad poster starring Superman himself, Henry Cavill. This heart pounding thriller follows a young American (Henry Cavill), whose family is kidnapped whilst on vacation in Spain. A cat and mouse chase ensues, but time is running out. THE COLD LIGHT OF DAY is due out in UK cinemas on 6th April 2012.